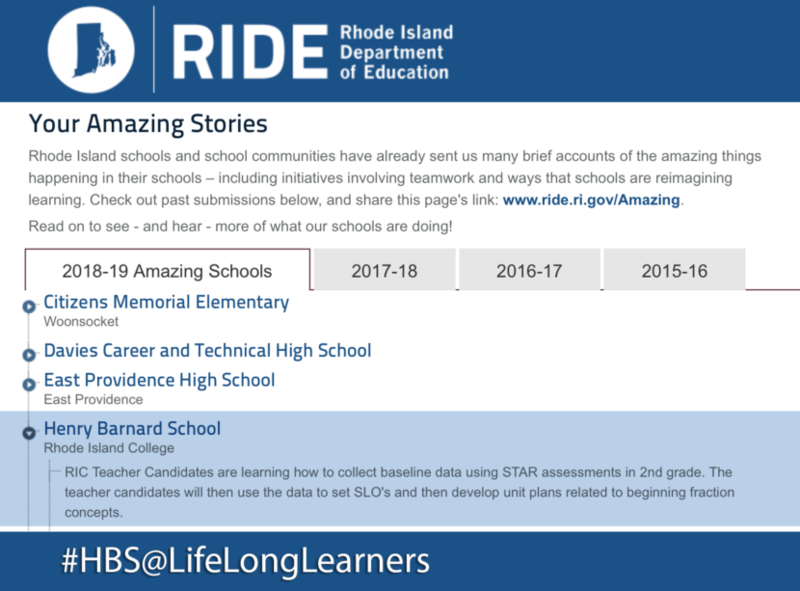 Rhode Island schools and school communities have already sent us many brief accounts of the amazing things happening in their schools – including initiatives involving teamwork and ways that schools are reimagining learning. Check out past submissions below, and share this page’s link: www.ride.ri.gov/Amazing. Read on to see – and hear – more of what our schools are doing!